Apple's mail app receives a fair share of the beating, leaving users stranded. Incessant updating of emails, failure to receive emails and a blank screen upon launching the mail app are but a few issues that users have complained about over the years. These bugs are a problem on iPhones as much as they are on iPads. Apple normally works hard to push updates that will patch up the issues but since they may take anything between a couple of days to several weeks to solve them, we have tested different effective solutions that may work as you wait for the updates. Below is such issue on iPhone keeps updating email and how to go about solving them. How to stop old Emails from downloading and updating on iPhone? 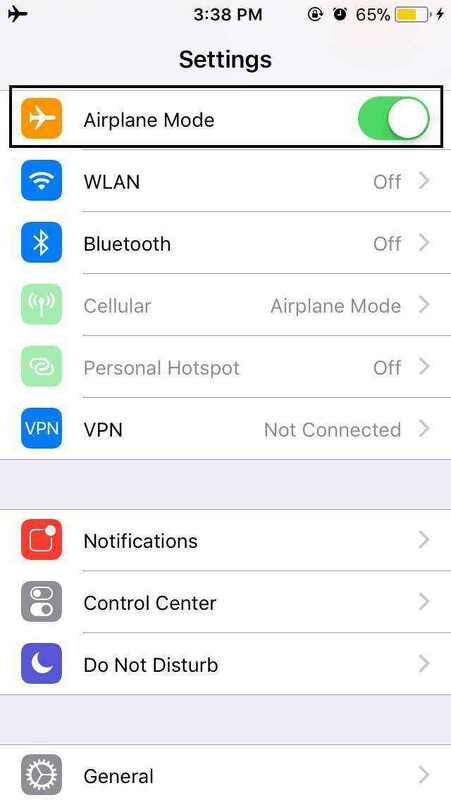 Soft reset your iPhone 5(s)/5c/6(s)/7(+) by pressing the sleep and home button until the "slide to power off" button appears on the screen. Hit it and press sleep button again to restart iPhone. For iPhone 8/8 Plus/X users, press Volume+, Volume- and hold the Sleep/Wake button located on the top right of the phone. Swipe right and just when the screen goes black, press the sleep/wake button until the Apple logo appears on the screen. This is a soft reset and will therefore not delete your data. How to stop iPhone keeps downloading deleted Emails? 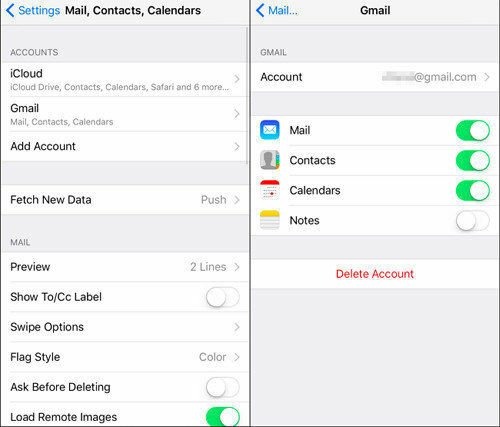 To get started, go to Settings > Accounts & Passwords, tap on your Mail service account and select "Delete Account". 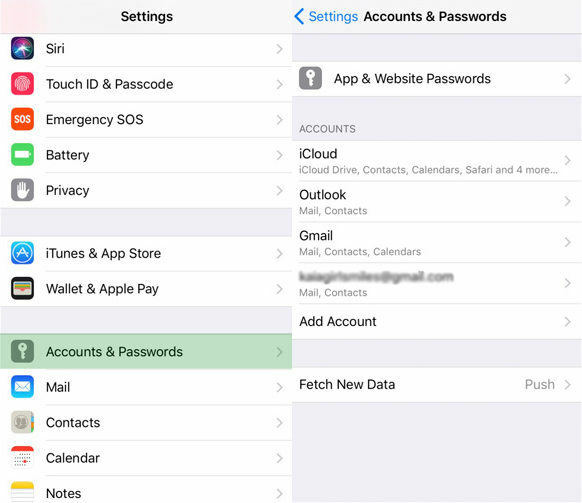 After that, add your email account afresh by navigating to Settings > Accounts & Password (Settings > Mail > Accounts for iOS 10.3.3 or earlier) and choose "Add Account". Select your email service provider. Log in by entering your email address and password. Tap "Next". Mail will verify your account after which you can choose information you would like to see on your account. Finish of by tapping Save. Is your iPhone downloading thousands of emails? Force close your Mail App, delete your mail account, force restart your iPhone and add the accounts again. If that doesn't work and you are still wondering how to stop emails automatically downloading on iPhone, set your email as IMAP, navigate to Settings > Mail > Accounts > Fetch New Data. Proceed by turning Push to OFF and Fetch to Manually. Though these solutions have worked in the past, they are not guaranteed to work on all iPhones. In such cases, we recommend using third party software to solve Mail and other iPhone related issues. iPhone system recovery software ReiBoot is a piece of simple, easy-to-use software that fixes iPhone, iPad, iPod related stuck issues such as frozen device when updating, iPhone stuck in recovery, loading screen, DFU and headphone modes, constant restarting of the device and failure to be detected on iTunes. Fix iOS device stuck in recovery mode, black screen, DFU mode, reboot loop etc. Restore iPhone data without iTunes. Hard reset iPhone, iPad, iPod without passcode. Downgrade iOS without worrying about losing data. Repair iOS system crash during/after upgrading. Repair Apple device unconnected with iTunes. Detect locked and untrusted iOS devices automatically. Supports latest iOS 11 and iOS 11 Beta. Can't clean and speed up iOS devices. No Ad-blocker for any iOS device. No management and file transfer features without iTunes. Updating your iPhone to the latest release of iOS can the fix mail app keeps updating issue. Since using iTunes can lead to loss of data and errors, we recommend using ReiBoot Pro. Download and install it, navigate to Fix All iOS Struck > Fix Now > Download IPSW file online > Repair Now. Come back to the question: how to fix iPhone keeps downloading Emails that have been deleted? Some iPhone users have complained that their iPhone constantly updating (re-downloading) emails after they launch the Mail app. The same can be experienced while users are checking their emails. However, I'm sure users will cope with this issue on their own after reading this tutorial.